Young Living's Tranquil Roll-On (patents pending) is a proprietary blend of lavender, cedarwood and roman chamomile essential oils formulated to calm and relax the body and mind. 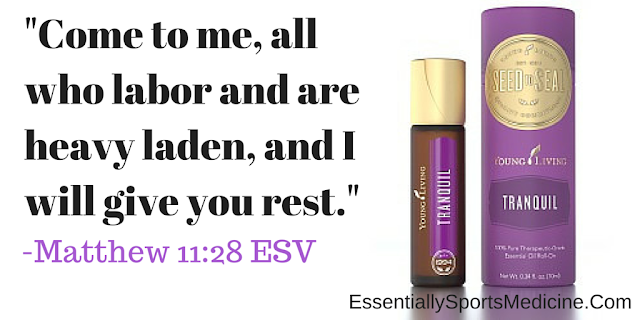 Using the roll-on application , Tranquil provides convenient and portable relaxation. A great oil to take on road trips (when you don't have the luxury of sleeping in your own bed)!